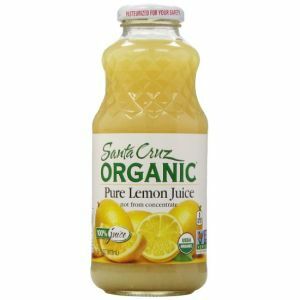 Fresh Lemon Juice vs. Bottled Lemon Juice: Which One? 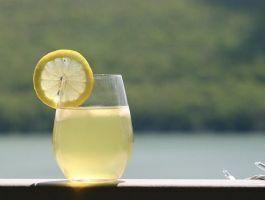 In this article pit two types of lemon juices head to head: fresh lemon juice vs. bottled lemon juice. Does it really matter whether you get your juice from the fruit or a store bought bottle? Lemons are one of the healthiest fruits around. They belong to the citrus family which includes oranges and tangerines. But unlike many citrus fruits that are sweet and eaten off of the fruit, lemons are very sour and often juiced or sliced into wedges rather than eaten as a whole fruit. Lemons are very nutritious which makes them a good candidate for anyone who wants something refreshing yet healthy to drink. 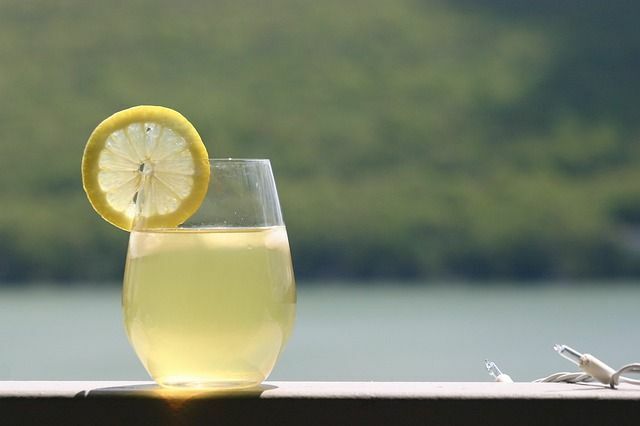 A glass of lemon juice gives you vitamin A and C. It also contains potassium. Now that we know some of the benefits lemon juice offers, we can see how drinking it freshly squeezed from the fruit can differ from something that’s been commercially processed and bottled. What’s Inside a Bottle of Lemon Juice? Inside the bottle of lemon juice, you will find a chemical used as a preservative. This chemical, sulfur dioxide, is used to prevent the discoloration of the lemon. It also prevents the lemon from rotting. Whenever you see, ‘contains sulfides’ on the label of any product, you will know this refers to sulfur dioxide. This chemical is the same poisonous gas emitted by volcanic eruptions and can block nerve signals which can cause asthma-like symptoms. It is questionable how much benefit of the Vitamin C found in lemons is left after being exposed to such a potent chemical. Not only do the sulfides break down the vitamin benefits, the bottle the juice sits in contains its own chemical compounds as well. A typical plastic bottle that contains water or other liquid beverages is manufactured in three stages. They are normally made from a material called, polyethylene terephthalate (PET) which comes from petroleum hydrocarbons. The process is known as, polymerization and creates the plastic which can then be formed into the different sized and shaped bottles you see on the shelf. Numerous tests are required to ensure the PET is appropriate for what the liquid inside the bottle will be used for. Bottles that will contain consumable products such as lemon juice must be air-tight against carbon dioxide being able to enter them. Carbon dioxide is often used in the cooling process when molding the plastic into its final shape and size. 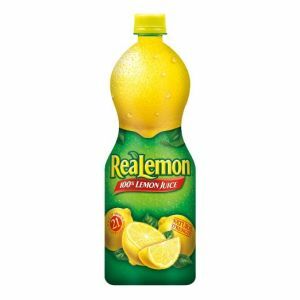 This chemical process of creating the bottle and then the fact that the lemon juice could sit inside this container for months or years highly affects the benefits of the lemon. Some of the nutritional value the freshly squeezed lemon had before it entered that plastic bottle will have dissipated long before you consume it. Bottom line: Store bought lemon juice may come out cheaper in the long run because you don’t need to invest time and effort in squeezing the juice out of the lemons. However, storing them in plastic bottles reduces their nutritional value. Glass bottles are a better option compared to plastic ones. They do still use preservatives though. This allows the lemon juice to keep a longer shelf life. Now that we’ve gotten through the packaging, it’s time to tackle the processing. The most important benefit from a lemon comes from its enzymatic properties. Juice from a freshly squeezed lemon is similar in atomic structure to the bile in your stomach that helps digest foods and your saliva. This is why lemons are so beneficial to your digestion and elimination process of your body. When food such as the lemon is processed so it can be bottled, it will change the molecular structure that the fresh lemon provides. Once the lemon is processed and bottled it will contain less than 25 percent of the health benefits a fresh lemon can give you. This can vary quite a bit though depending on the kind of processing the juice manufacturer uses. 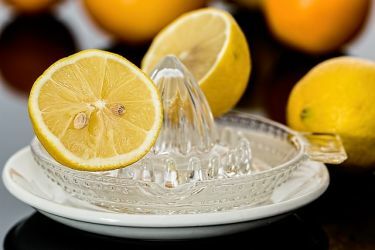 Lemons are a citrus fruit and the citric acid they contain can deteriorate the plastic of the bottle they are stored in. This can cause those plastic chemicals to seep into the juice. This is why we recommend that if you absolutely cannot provide yourself with a freshly squeezed lemon it would be a healthier alternative to purchasing lemon juice stored in a glass bottle. If you are someone who just doesn’t always have the time to squeeze a fresh lemon there is another alternative to just buying a bottle of it for convenience. When you have some extra time, you can take fresh lemons and squeeze them into an ice cube tray. Freeze these trays with the fresh, all-natural lemon juice and you will always have on hand a chemical and additive free source of lemons. While they make look the same when poured into a glass, the difference between fresh lemon juice and bottled lemon juice matters a lot. By the time processing and packaging is done with it, you have a lot of extra additives, possibly sweeteners included in the commercially bottled version. Then there’s also the issue of preservatives which are never good for our bodies. Finally, it’s important to note that plastic bottles, while cheaper, aren’t as healthy as those packaged in glass bottles or jars. What to Put in Oatmeal? Food & Nutrition, General Health, Weight Loss. permalink. Tuna vs. Salmon: Which is Better for Health? Why Do I Feel Bloated After Working Out? Is Flavored Water Bad for You? Is V8 Fusion Good for You? Coconut Water Benefits: How Much of it is True?